But this moment lasted almost as long as the Soviet Union and for anybody who wants to explore this system it has to be carefully studied. 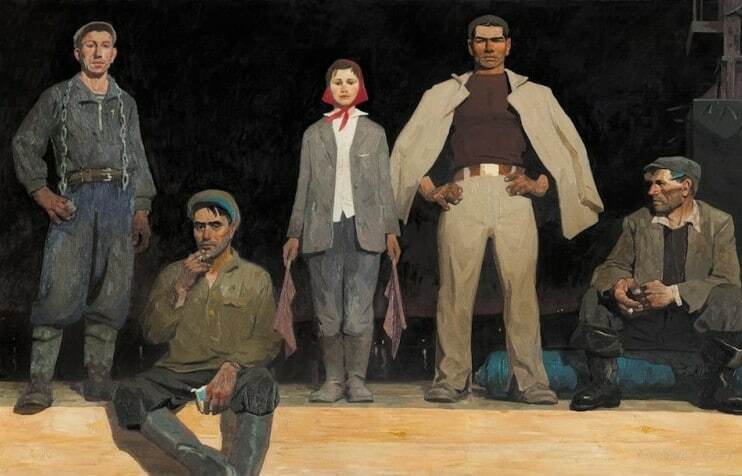 Socialist realism was a traditionalist, representational from of art, famously “national in form, socialist in content” and concerned primarily with literature and only later with painting, sculpture and architecture. Although it was never articulated as such, this nationalist form drew mostly upon classical and various neo-classical art styles such as Renaissance. Despite claims to “realism”, it was never really realistic, depicting communist reality not as it was but as it should be. There was no space for any critique. Yet it would be a mistake to only identify sots-realism with the troubling idealised images of heroic leaders, battles or peasants.